License-based business model is expected to spiral downwards. 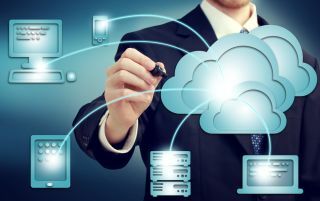 The global public cloud services market is set to grow byalmost a fifth (17.5 per cent) this year, hitting $214.3 billion, a new prediction by Gartner says. Last year, the market hit $182.4 billion. Cloud system infrastructure services, also known as IaaS (infrastructure-as-a-service) is the fastest-growing market segment, and much is expected of it. Gartner expects 27.5 per cent growth this year, hitting $38.9 billion, up from $30.5 billion last year. PaaS, or Platform-as-a-Service, is expected to be second best, hitting 21.8 per cent growth. More than a third of businesses consider cloud investments one of the three biggest priorities for the year. By the end of the year, more than 30 per cent of tech providers’ new software investment will have changed from cloud-first, to cloud-only, Gartner concludes. License-based software is in for a bumpy ride, with sales spiralling downwards, while SaaS and subscription-based models continuing to register growth.